A Kubernetes 1.10+ cluster with role-based access control (RBAC) enabled. This setup will use a DigitalOcean Kubernetes cluster, but you are free to create a cluster using another method. 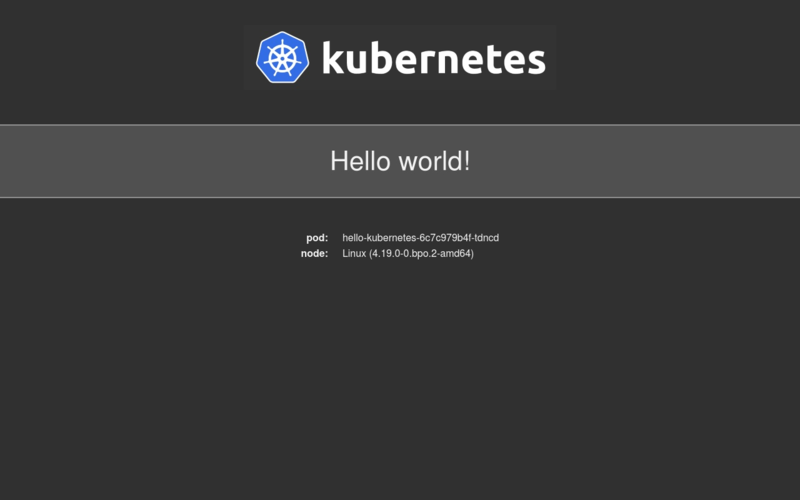 The kubectl command-line tool installed on your local machine or development server and configured to connect to your cluster. You can read more about installing kubectl in the official documentation. Docker installed on your local machine or development server. If you are working with Ubuntu 18.04, follow Steps 1 and 2 of How To Install and Use Docker on Ubuntu 18.04; otherwise, follow the official documentation for information about installing on other operating systems. Be sure to add your non-root user to the docker group, as described in Step 2 of the linked tutorial. A Docker Hub account. For an overview of how to set this up, refer to this introduction to Docker Hub. 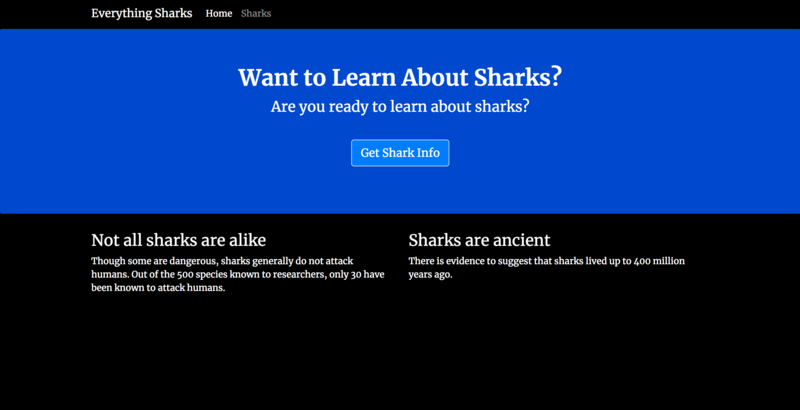 The node_project directory contains files and directories for a shark information application that works with user input. It has been modernized to work with containers: sensitive and specific configuration information has been removed from the application code and refactored to be injected at runtime, and the application’s state has been offloaded to a MongoDB database. The project directory includes a Dockerfile with instructions for building the application image. Let’s build the image now so that you can push it to your Docker Hub account and use it in your Kubernetes setup. When prompted, enter your Docker Hub account password. Logging in this way will create a ~/.docker/config.json file in your user’s home directory with your Docker Hub credentials. We will use these files to create different types of objects: Services, which will ensure that the Pods running our containers remain accessible; Deployments, which will contain information about the desired state of our Pods; a PersistentVolumeClaim to provision storage for our database data; a ConfigMap for environment variables injected at runtime; and a Secret for our application’s database user and password. Some of these definitions will be in the files kompose will create for us, and others we will need to create ourselves. First, we will need to modify some of the definitions in our docker-compose.yaml file to work with Kubernetes. We will include a reference to our newly-built application image in our nodejs service definition and remove the bind mounts, volumes, and additional commands that we used to run the application container in development with Compose. Additionally, we’ll redefine both containers’ restart policies to be in line with the behavior Kubernetes expects. These files are a good starting point, but in order for our application’s functionality to match the setup described in Containerizing a Node.js Application for Development With Docker Compose we will need to make a few additions and changes to the files kompose has generated. With secret.yaml written, our next step will be to ensure that our application and database Pods both use the values we added to the file. Let’s start by adding references to the Secret to our application Deployment. We will need to add references to our Secret to the MONGO_USERNAME and MONGO_PASSWORD variables listed here, so that our application will have access to those values. Instead of including a configMapKeyRef key to point to our nodejs-env ConfigMap, as is the case with the values for MONGO_DB and MONGO_PORT, we’ll include a secretKeyRef key to point to the values in our mongo-secret secret. Next, we’ll add the same values to the db-deployment.yaml file. 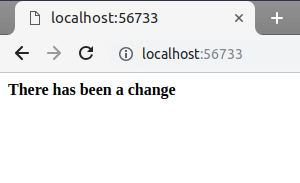 The selector that we have included here will match this Service object with our database Pods, which have been defined with the label io.kompose.service: db by kompose in the db-deployment.yaml file. We’ve also named this service db. Next, let’s add an Init Container field to the containers array in nodejs-deployment.yaml. This will create an Init Container that we can use to delay our application container from starting until the db Service has been created with a Pod that is reachable. This is one of the possible uses for Init Containers; to learn more about other use cases, please see the official documentation. This Init Container uses the BusyBox image, a lightweight image that includes many UNIX utilities. In this case, we’ll use the netcat utility to poll whether or not the Pod associated with the db Service is accepting TCP connections on port 27017. First, let’s modify the storage resource defined in the PersistentVolumeClaim that kompose created for us. This Claim allows us to dynamically provision storage to manage our application’s state. It’s time to create our Kubernetes objects and test that our application is working as expected. You don’t need to specify a Namespace here, since we have created our objects in the default Namespace. If you are working with multiple Namespaces, be sure to include the -n flag when running this command, along with the name of your Namespace. Centralized logging and monitoring. Please see the relevant discussion in Modernizing Applications for Kubernetes for a general overview. You can also look at How To Set Up an Elasticsearch, Fluentd and Kibana (EFK) Logging Stack on Kubernetes to learn how to set up a logging stack with Elasticsearch, Fluentd, and Kibana. Also check out An Introduction to Service Meshes for information about how service meshes like Istio implement this functionality. Ingress Resources to route traffic to your cluster. This is a good alternative to a LoadBalancer in cases where you are running multiple Services, which each require their own LoadBalancer, or where you would like to implement application-level routing strategies (A/B & canary tests, for example). 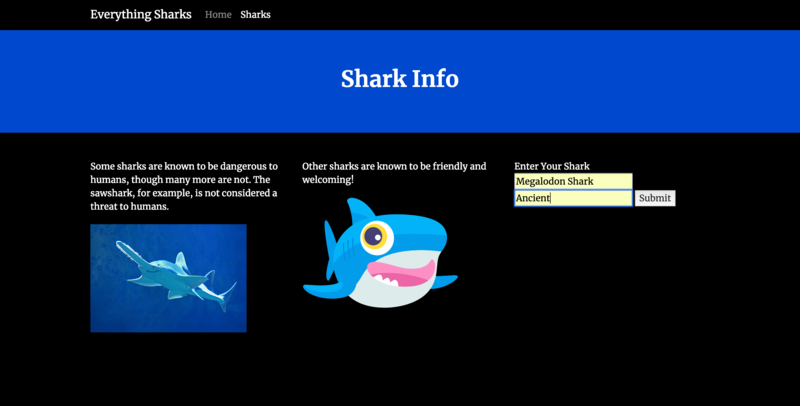 For more information, check out How to Set Up an Nginx Ingress with Cert-Manager on DigitalOcean Kubernetes and the related discussion of routing in the service mesh context in An Introduction to Service Meshes. Backup strategies for your Kubernetes objects. For guidance on implementing backups with Velero (formerly Heptio Ark) with DigitalOcean’s Kubernetes product, please see How To Back Up and Restore a Kubernetes Cluster on DigitalOcean Using Heptio Ark. 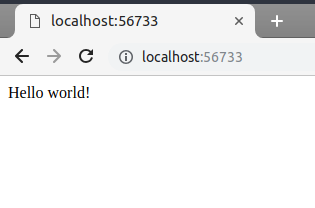 For your first Docker image, it will be useful to see what it looks like when you start out with a base Ubuntu image. This will package your sample API in an environment similar to the software you’re already running on your Ubuntu server. Inside the image, you will install the various packages and modules you need to run your application. You will find, however, that this process creates a rather heavy Ubuntu image that will affect build time and the code readability of your Dockerfile. Start by writing a Dockerfile that instructs Docker to create an Ubuntu image, install Go, and run the sample API. Make sure to create the Dockerfile in the directory of the cloned repo. 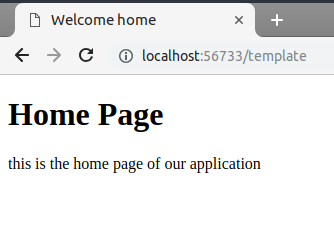 If you cloned to the home directory it should be $ HOME/mux-go-api. The build command builds an image from a Dockerfile. The -f flag specifies that you want to build from the Dockerfile.ubuntu file, while -t stands for tag, meaning you’re tagging it with the name ubuntu. The final dot represents the current context where Dockerfile.ubuntu is located. This will take a while, so feel free to take a break. Once the build is done, you’ll have an Ubuntu image ready to run your API. But the final size of the image might not be ideal; anything above a few hundred MB for this API would be considered an overly large image. REPOSITORY  TAG     IMAGE ID        CREATED         SIZE ubuntu      latest  61b2096f6871    33 seconds ago  636MB . . . In this section, you built an Ubuntu image with all the needed Go tools and dependencies to run the API you cloned in Step 1. In the next section, you’ll use a pre-built, language-specific Docker image to simplify your Dockerfile and streamline the build process. Pre-built images are ordinary base images that users have modified to include situation-specific tools. 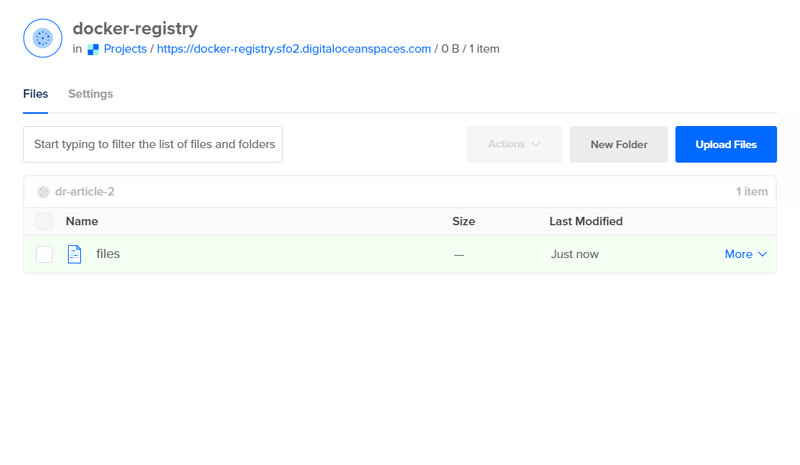 Users can then push these images to the Docker Hub image repository, allowing other users to use the shared image instead of having to write their own individual Dockerfiles. This is a common process in production situations, and you can find various pre-built images on Docker Hub for almost any use case. In this step, you’ll build your sample API using a Go-specific image that already has the compiler and dependencies installed. With pre-built base images already containing the tools you need to build and run your app, you can cut down the build time significantly. Because you’re starting with a base that has all needed tools pre-installed, you can skip adding these to your Dockerfile, making it look a lot cleaner and ultimately decreasing the build time. Starting from the top, you’ll find that the FROM statement is now golang:1.10. This means Docker will fetch a pre-built Go image from Docker Hub that has all the needed Go tools already installed. REPOSITORY  TAG     IMAGE ID        CREATED         SIZE golang      latest  eaee5f524da2    40 seconds ago  744MB . . .
Keep in mind that using these heavy images is fine when you are unsure about your needs. Feel free to use them both as throwaway containers as well as the base for building other images. For development or testing purposes, where you don’t need to think about sending images through the network, it’s perfectly fine to use heavy images. But if you want to optimize deployments, then you need to try your best to make your images as tiny as possible. Here you’re adding the apk add command to use Alpine’s package manager to install Go and all libraries it requires. As with the Ubuntu image, you need to set the environment variables as well. REPOSITORY  TAG     IMAGE ID        CREATED         SIZE alpine      latest  ee35a601158d    30 seconds ago  426MB . . . Even though you’ve managed to cut down the size a lot, there’s one last thing you can do to get the image ready for production. It’s called a multi-stage build. By using multi-stage builds, you can use one image to build the application while using another, lighter image to package the compiled application for production, a process you will run through in the next step. Ideally, images that you run in production shouldn’t have any build tools installed or dependencies that are redundant for the production application to run. You can remove these from the final Docker image by using multi-stage builds. This works by building the binary, or in other terms, the compiled Go application, in an intermediate container, then copying it over to an empty container that doesn’t have any unnecessary dependencies. What you’ll add here will be familiar. Start out by adding the exact same code as with Dockerfile.golang-alpine. But this time, also add a second image where you’ll copy the binary from the first image. Save and close the file. Here you have two FROM commands. The first is identical to Dockerfile.golang-alpine, except for having an additional AS multistage in the FROM command. This will give it a name of multistage, which you will then reference in the bottom part of the Dockerfile.multistage file. In the second FROM command, you’ll take a base alpine image and COPY over the compiled Go application from the multistage image into it. This process will further cut down the size of the final image, making it ready for production. REPOSITORY      TAG     IMAGE ID        CREATED         SIZE prod            latest  82fc005abc40    38 seconds ago  11.3MB <none>          <none>  d7855c8f8280    38 seconds ago   294MB . . . The <none> image is the multistage image built with the FROM golang:1.10-alpine3.8 AS multistage command. It’s only an intermediary used to build and compile the Go application, while the prod image in this context is the final image which only contains the compiled Go application. From an initial 744MB, you’ve now shaved down the image size to around 11.3MB. Keeping track of a tiny image like this and sending it over the network to your production servers will be much easier than with an image of over 700MB, and will save you significant resources in the long run.